LeRenda, Nikiage, Me, Crystal, Lauren, Shasie and Julia. 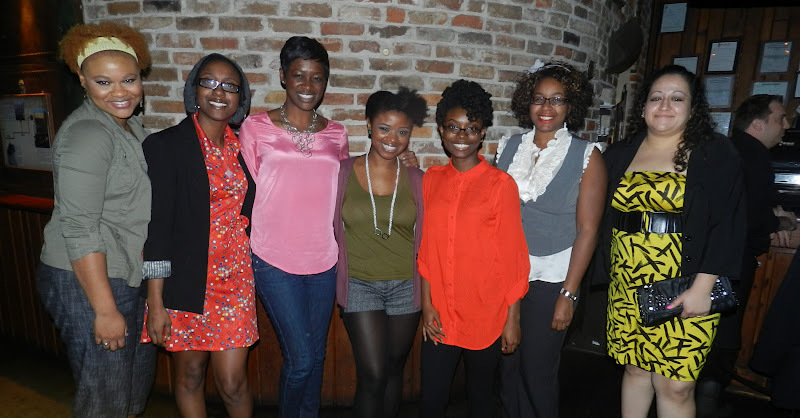 Last week, I had a dinner date at Hearsay Lounge with several of the Houston Fashion Bloggers. They were so sweet and showed my that good ole southern hospitality! This year I am taking my fashion swap event on a road trip and Houston is one of my stops. These ladies are a wealth of information and have already gone above and beyond to assist me in making Swapnista a success!! Julia is the on-site coordinator for Swapnista Houston. We have been communicating for weeks on Facebook and Twitter, so it exciting to finally meet her in person. 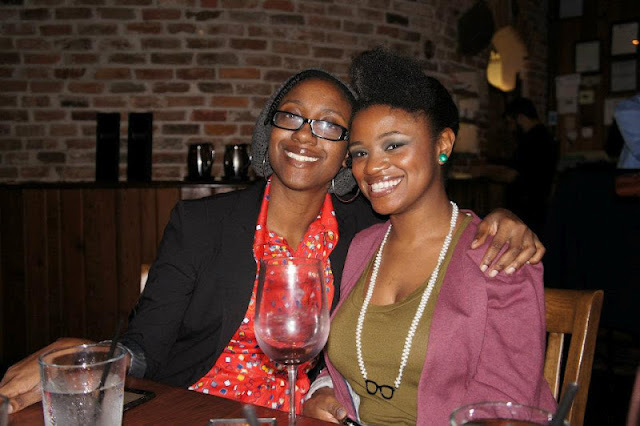 I learned that Nikiage is the go to person for scoring ebay items at rock bottom prices and Crystal (who is also my soror) is jewelry designer...check out her collection of pearl necklaces HERE. LeRenda is a freelance makeup artist and Shasie is the founder of the Houston Fashion Bloggers group. As you can see, I was among a group of fashion bloggers who were triple threats too! 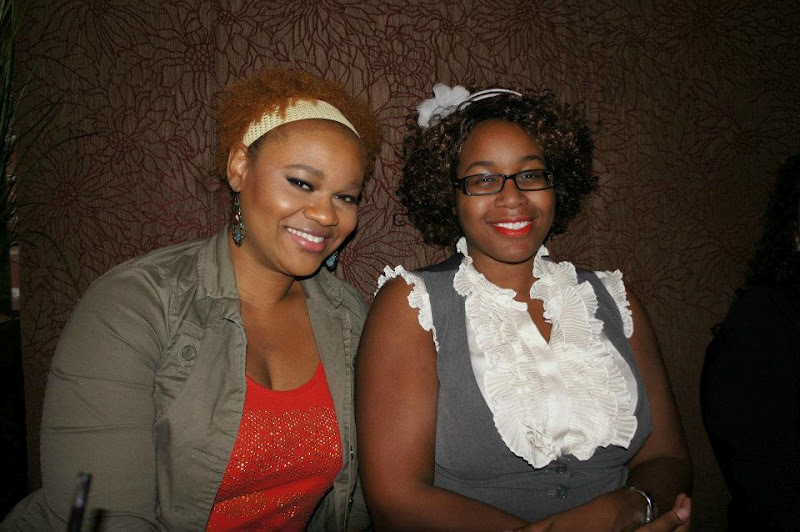 Later on during the week, my soror Crystal picked me up so we do a little shopping at Couture Blowout. There are two locations one at 2419 S Shepherd Drive, stocked with mid-level designer fashion and the other at1621 Westheimer Rd., stocked with very high end designers. I did some window shopping the day before, but needed to go back to take my time and really shop to my heart's content. The owner (pictured on the left) Fatou Fall, has a great eye for style and fashion, and her store definitely reflects her taste. Here is sneak peek of what Crystal and I brought home with us! I fell in love with this adorable pastel Tracey Reese dress...it was under $90. Below are a few pictures of the store. So take my advice, if you love high-end labels, Couture Blowout delivers it and at a good prices too. From Alexander McQueen to Louis Vuttion, you are guaranteed to find your favorite brands. I need to go to Couture Blowout! Thanks for the shoutout! @buxomchick yes we should do a shopping trip there!! Can't wait to go back when I come back to Houston! So cute! Love this post! Hope to see you again soon! I definitely need to go to that store! Looks like you ladies had a fabulous time!! Crystal Milton is my client and good friend, she told me you all had a ball. 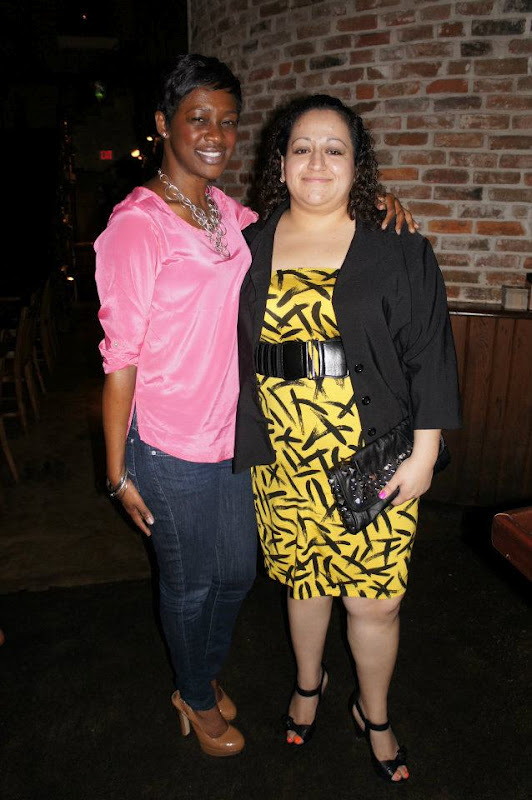 Love the blog, very chic and thanks for supporting Houston Fashion Bloggers!! !